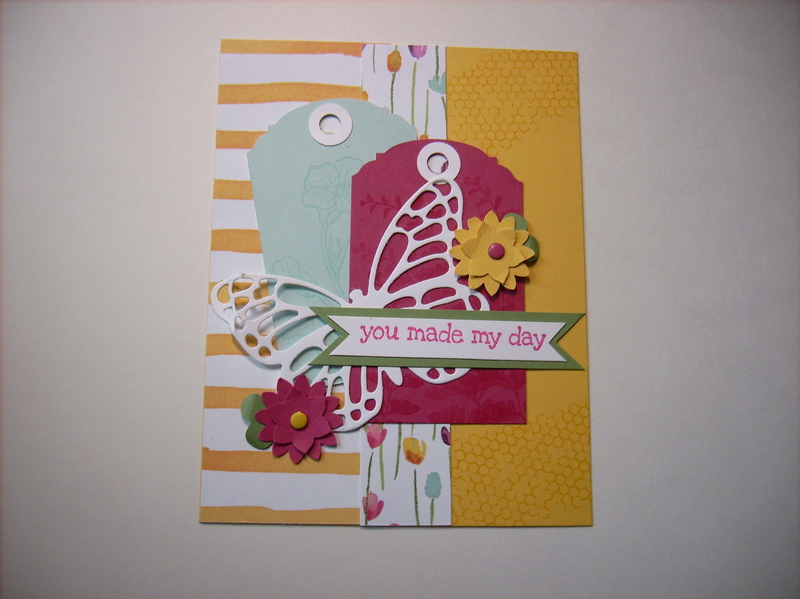 Today’s post is a beautiful and multi layered card that Cammie made to show case the Painted Blooms DSP #137784. Cammie used the Butterfly Basics Photoplymer Stamp set #137154 to texture the tags and the Daffodil cardstock. The tags were created using the Ornate Tag Topper Punch #137416. Cammie then cut a lacy butterfly using Butterfly Thinlit #137360 and added a sentiment onto a hand cut banner. She finished by adding layered Boho Blossoms punched flowers.